Have you been arrested for a drug charge? Understanding drug offences in Canada without a drug crime attorney can be difficult. Click here to learn more. If you or someone you care about are facing drug charges in Canada, you may be unsure about what to do next. The aftermath of a drug arrest is undoubtedly scary and confusing. A drug crime attorney can help you navigate the complex legal process and give you the best chances for a positive outcome. 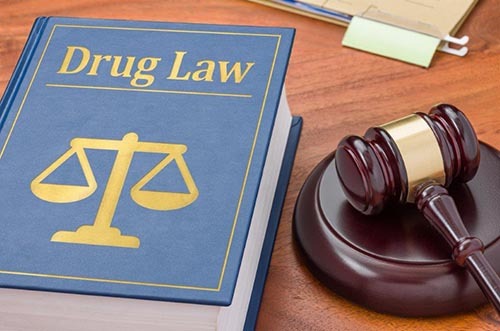 When faced with potential legal issues in Canada, it's important to understand the basic laws, how the country deals with drug convictions and the importance of working with a drug crime attorney. Read on to learn more. Under the Canadian government's Controlled Drug and Substances Act, it's illegal to have prohibited drugs in your possession at any time. This applies even if the drugs do not belong to you. For a conviction of possession, the prosecutor must prove that the illegal drug was on your body or in a location that you control. This includes your home and your car. He or she must also prove that you knew the substance in question was an illegal drug. Depending on the circumstances surrounding your arrest, you may be brought up on a summary conviction offense or a far more serious indictable offense. In cases involving first-time arrests and/or small quantities of drugs, a summary conviction is more likely. Canadian laws establish minimum and maximum penalties. These can include court-ordered drug treatment programs, fines, and imprisonment. With so many variables surrounding your potential conviction, it's easy to see why you need a qualified drug crime attorney who clearly understands the laws. The most common legal defenses to drug possession charges are improper police procedure and illegal search and seizure. Here's what you need to know. If you've been pulled over while driving your vehicle, police can look in your windows and can use a flashlight in the dark. They cannot, however, search your car unless they have reasonable cause to believe there are drugs, alcohol, or evidence of a crime inside. They must also have cause to believe the contents would be removed or tampered with if there was a delay while a warrant was served. In most cases, police cannot search your person in the absence of an arrest or consent to the search. However, if you are in a location where a drug search is occurring and the police have reason to believe you are in possession of drugs, a legal search is possible. If you believe a search is happening illegally, tell the police that you object and consult with a drug crime attorney at your earliest opportunity. In most cases, police are not allowed to search your home without your permission or a search warrant. If a warrant has been issued, the serving police must identify themselves and show you a copy of the warrant. While searching your home, they are not allowed to intentionally damage your property or use excessive force. Aggravating factors include an association with organized crime, intent to exploit children, the use of violence or weapons and previous drug convictions. It's important to note that an offer to sell is sufficient for conviction. There is no need to prove that the defendant actually had drugs on him at the time of the offer. Trafficking charges may also apply to defendants in possession of a lot of drugs, money, and packaging. A conviction for trafficking or other serious drug crimes can bring serious consequences. Depending on the drugs involved and circumstances surrounding the conviction, penalties can range from a few thousand dollars and six months in jail, up to a lifetime imprisonment. Both the United States and Canada have strict policies regarding crossing the border following a criminal conviction. The United States denies entry to those convicted of controlled substance violations. This can be as minor as simple possession of THC or even paraphernalia with a small amount of residue. In some cases, you can apply for a waiver. However, this is often a time-consuming, complicated, and expensive process. Canada is slated to legalize recreational marijuana on or before July 1, 2018. Each province will be responsible for setting its own rules regarding minimum legal age to purchase, where it can be legally smoked, and so on. Police are also warning that a crack-down on the black market is necessary for legalization to be effective. Until the laws are passed, marijuana remains an illegal schedule II drug. Those living in or visiting Canada should keep a close eye on the upcoming law changes. Always err on the side of caution until there is greater clarity. If you've had the misfortune of an arrest for a drug-related crime, your next steps can impact the rest of your life. Don't make the mistake of trying to handle your own criminal defense. At Verhaeghe Law Office, we use all methods at our disposal to fight for the best verdict possible. We charge our clients on a flat-rate basis so it's easy to understand your costs up-front. You can be confident that there will be no hidden charges or unpleasant surprises when working with our firm. Contact us today for a consultation to learn how we can help. This entry was posted in Drug Crime Attorney by verhaeghelaw. Bookmark the permalink.